Are you looking to give a thoughtful gift to someone this holiday season? Perhaps you have someone to thank or express appreciation and you want to find a gift idea that is both creative and not ordinary. 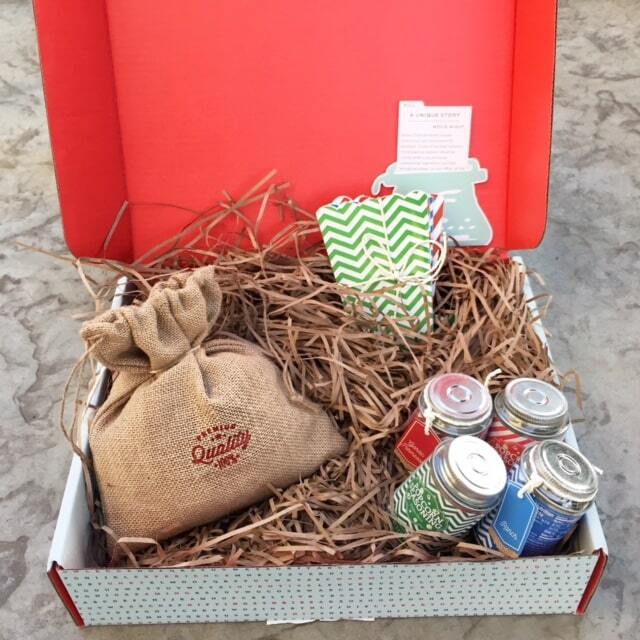 Enter the themed gift boxes from Thoughtfully where you can give a unique gift experience. These gorgeous themed gift boxes are extraordinary and will convey the message to your recipient that they are special to you. 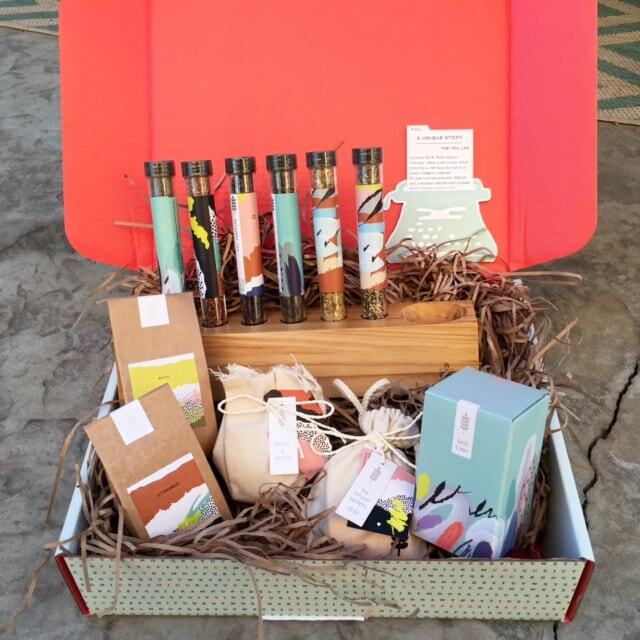 I was thrilled to have the opportunity to review two creative gift boxes from Thoughtfully to facilitate my review. As always, all opinions are 100% my own. 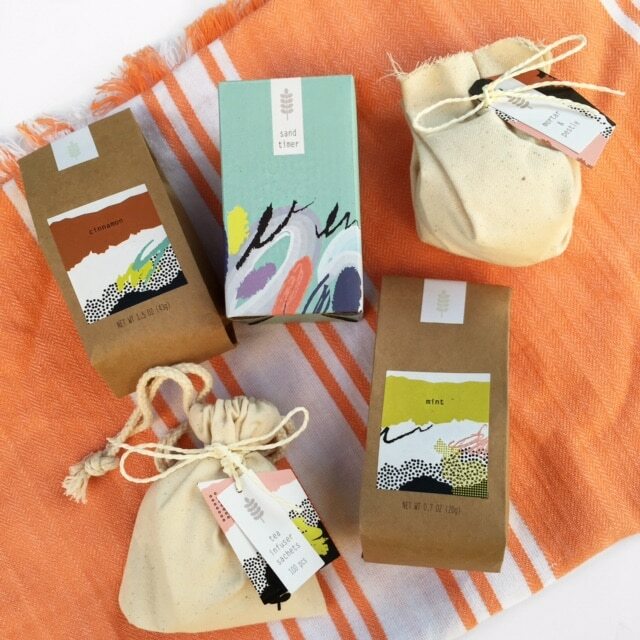 Thoughtfully calls their gift boxes Gifting Stories which fittingly describes the attention to detail inside. The components are so carefully curated and packaged that you realize even before you unwrap the individual items that this was a gift chosen with thoughtfullness in mind. 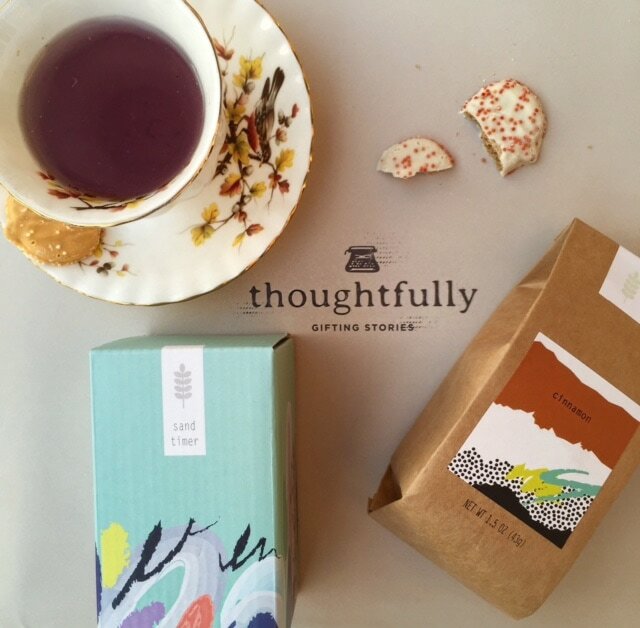 I had my choice from the Thoughtfully website, and I chose The Tea Lab the Movie Night gift boxes. One look at the website and you will see why I am so excited to share them with you. Look how beautiful it is inside this box of tea gifts. You may have a hard time giving it away! I can think of at least four people on my holiday gift list who would love to get this special gift, but I also have a friend who is home awaiting surgery. I know this would brighten her day and let her know that I care. 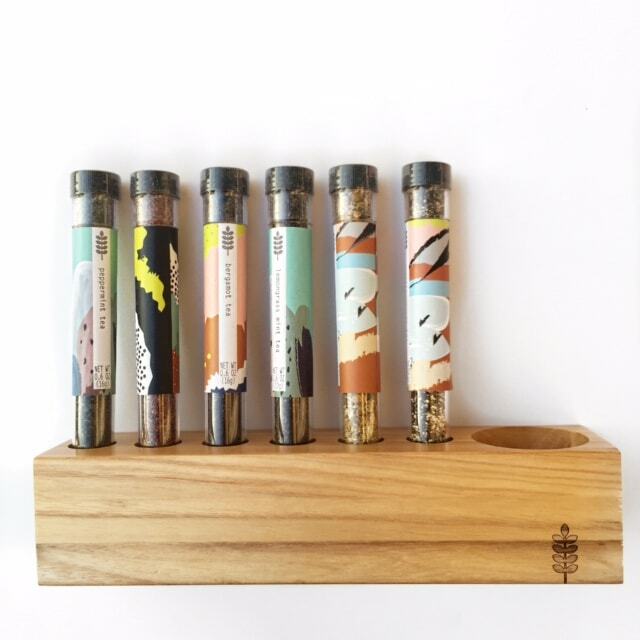 Inside the Tea Lab Gift Set is a glass sand timer, mortar & pestle, 100 disposable tea bags, cinnamon sticks and mint leaves and 6 specialty teas set in a wooden tea holder. 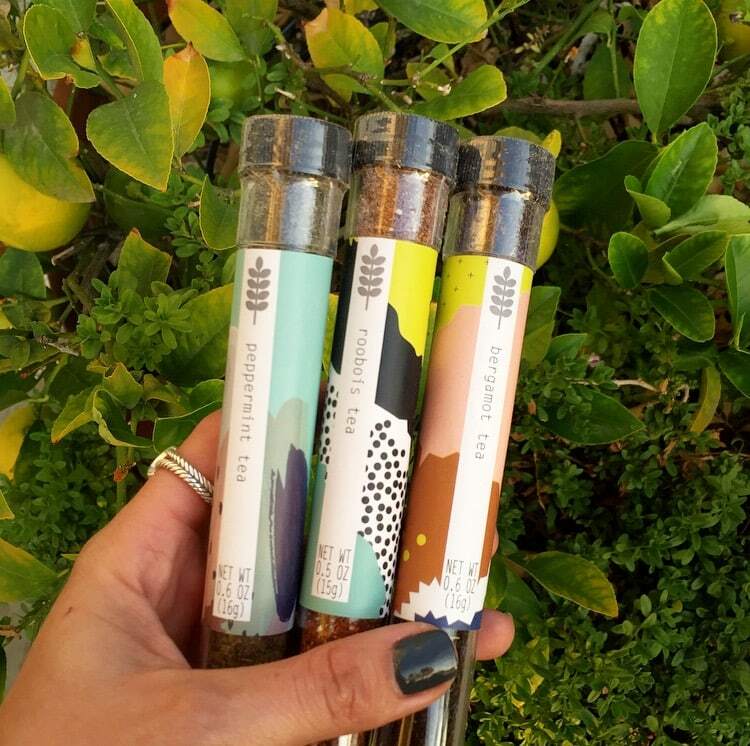 Tea flavors include cinnamon, mint, peppermint, roobois, bergamont, lemongrass mint, chamomile, and vanilla orange. Do you want to give a gift that the whole family can enjoy? 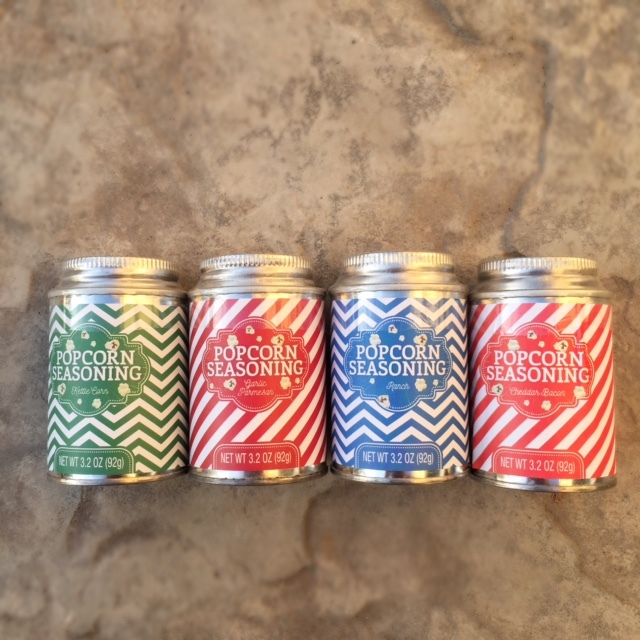 The Movie Night, Popcorn Lover’s Gift Set will be a huge hit. They will think of you as they enjoy gourmet popcorn made even more special with the delicious toppings that are included. Inside this Thoughtfully box, you will find four colorful popcorn bags, gourmet popping corn and four popcorn seasonings in Garlic Parmesan, Ranch, Cheddar Bacon and Kettle Corn. 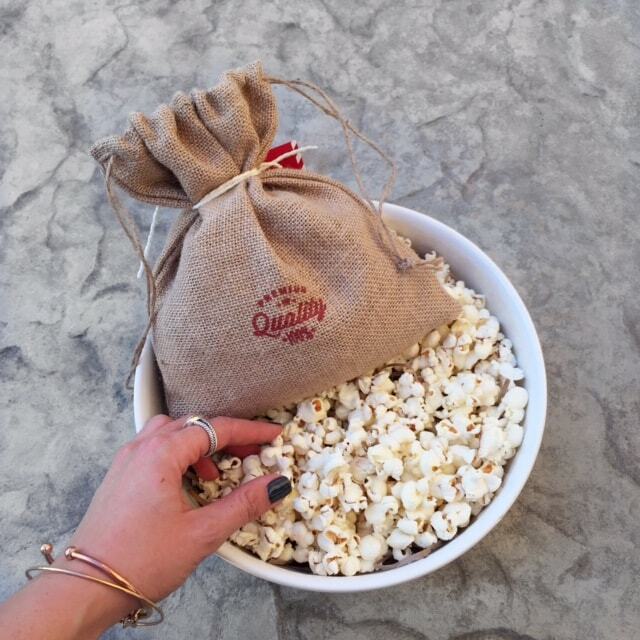 My family loves movies and popcorn at home, so this Thoughtfully gift will stay right here! There are Gifting Stories not only for the holidays, but you will also find perfect birthday presents such as the Mocha Barista with Godiva and the Breakfast in Bed gift sets. View the housewarming gifts like The Big BBQ, food and bar gifts such as the Apple Pie Love Story, thank you gifts and so many more choices. When you want to give a gift that tells a story as it is unwrapped, Thoughtfully can be your “go-to” source. They are so much more interesting and exciting than traditional gift baskets. It is convenient and easy to order but these Gifting Stories will send the message that they were chosen for the recipient with love and attention to detail for the recipient and will become a warm memory. Be sure and follow Thoughtfully on social media with the hashtag #GiftThoughtfully and sign up to get their emails to get $5 off and free shipping on your first package. This is a sponsored post from GigaSavvy on behalf of Thoughtfully. All opinions are 100% my own. This sounds like a great box! I love all the unique things they included. I just found a Christmas present for one of my friends. Oh, I love this! Gift boxes are a dime a dozen these days, and they’re pretty much the same now. This one is so different, though. Love it! This looks like an awesome box to have. I would love to get one of these at Christmas and know several people who would also. I really love this! This is such a great gift idea this coming Holidays. The box looks amazing. I also love their packaging. I just know someone who would love this. You just gave me an idea on what to give her for Christmas. Now this looks like a great gift to send someone this holiday season! I will definitely be looking at giving a few of these this Christmas! I love unique gifts. I would personally enjoy the tea set. Oh my goodness, I love box subscriptions and this is one of my favorites so far. So cute and great items! I love tea! Thanks for telling me about this! This gift set looks so lovely! Themed gift boxes are a fantastic gift idea. I have been looking for some different gift ideas for the Holidays. I will have to check this out. These would all be so great for gift giving this holiday season. They’d be especially helpful for those who are hard to buy for. This is a great gift idea for the holidays, it’s complete with different stuff. You can’t go wrong with this. I was just thinking about what to give my SIL and my cousin this Christmas. This would be perfect. They would love this! I saw these boxes on IG and so wanted to get one for my hubby. They have a nice range of gift items.